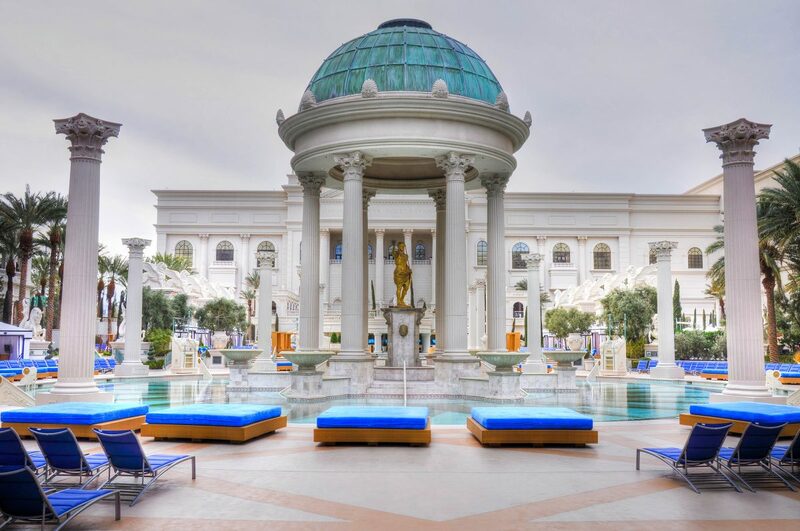 Though most Las Vegas resorts have a spa, nothing compares to Caesars Palace’s 50,000 sq ft oasis of relaxation. Winner of several awards since its opening in 2007, Qua Baths & Spa has dozens of treatment rooms and a full menu of one-of-a-kind spa services and experiences. Additionally, the spa has three Roman baths, a Laconium sauna, an Arctic Ice Room and a Tea Room complete with tea sommelier. 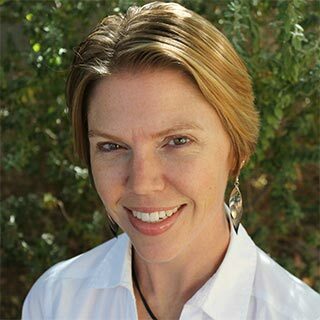 Qua’s well-trained staff can help guests choose the ideal experience, but top selections include the Twin Souls treatment for couples (a joint session that includes body scrubs, massages and breath work) and the Fiji Ritual (a full-body, coconut-infused session) for individuals. 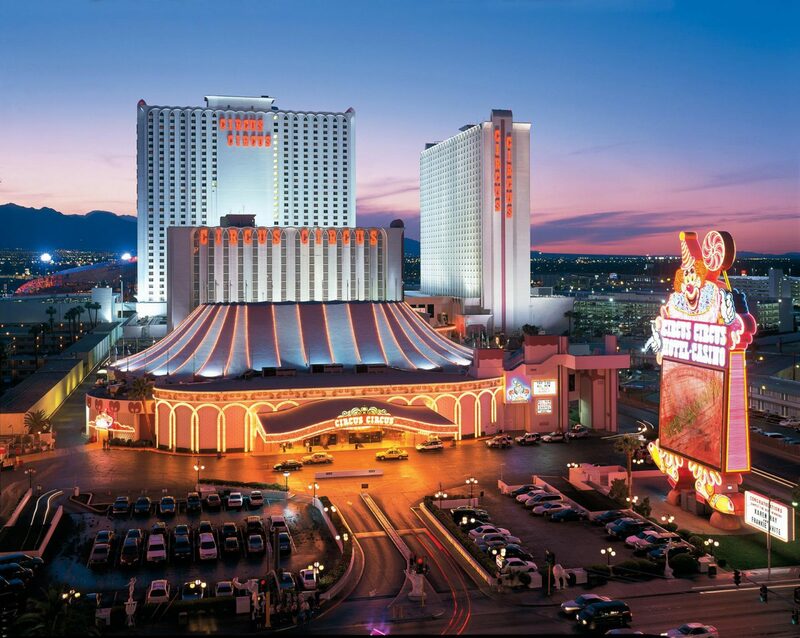 In general, hotels located in downtown Las Vegas are significantly less expensive than those found on the Strip. This is, in part, because the properties are older. 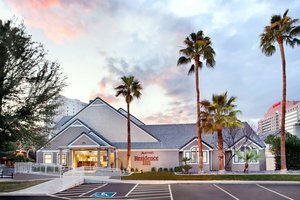 However, Downtown Grand has the distinct advantage of being both downtown and newly renovated, so guests get the best of both worlds. In general, the property is quiet and low-key with casual dining options and fun cocktail hangout Art Bar, which has artwork hanging on the ceiling. 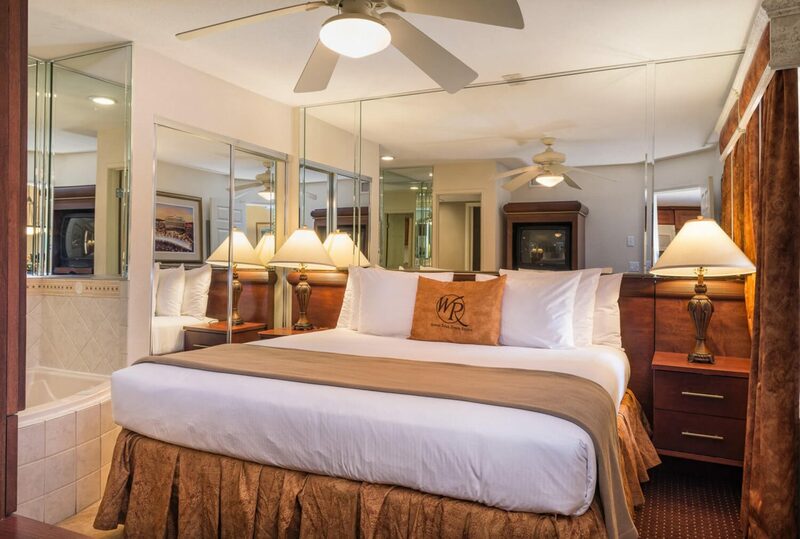 Rooms are spacious, clean and fresh, with good views of the downtown area, and the pool deck, called Citrus, is completely refreshed with a new menu, games and live music. When guests are ready to explore beyond the Downtown Grand, the area’s most popular attractions are just a few minutes’ walk away. 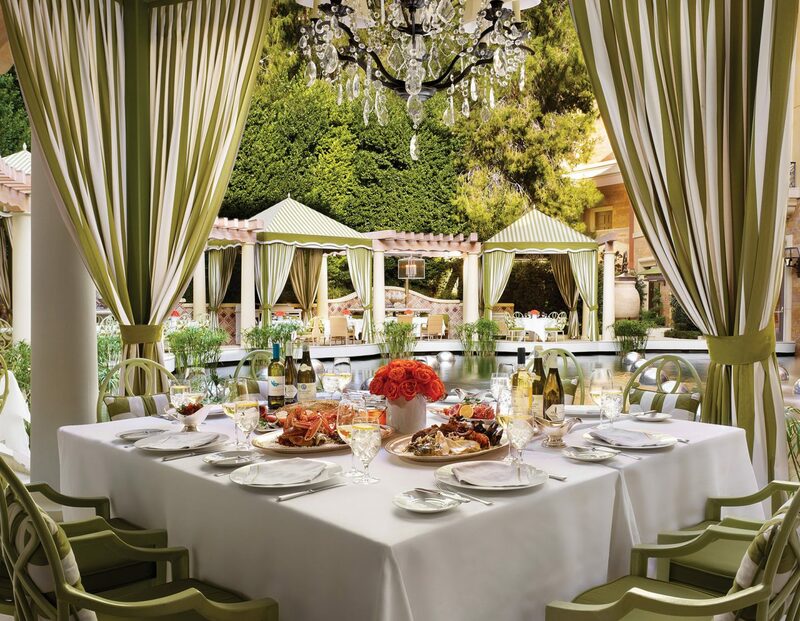 From the meticulously kept glass tilework on the property’s floors to perfectly polished menus that include vegetarian and vegan options in all of its restaurants, Wynn (and its sister property, Encore) takes the top prize for luxury in Las Vegas. Winner of more Forbes Travel Guide Five-Star awards than any other independent hotel company in the world, Wynn Resorts has staffed its properties with people who go out of their way to ensure guests are treated like individuals in a sea of thousands. 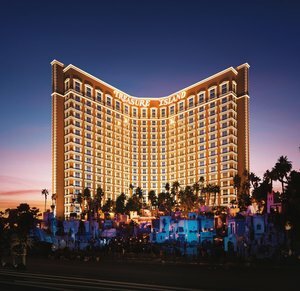 There’s little reason to leave Wynn and Encore, with their high-end restaurants and shopping, two top-tier spas, nightclubs that host some of the hottest DJs in the world and an 18-hole golf course just steps from the front door. In any footage of Las Vegas, the spectacularly choreographed Fountains of Bellagio dance illuminated front and centre on the Strip. 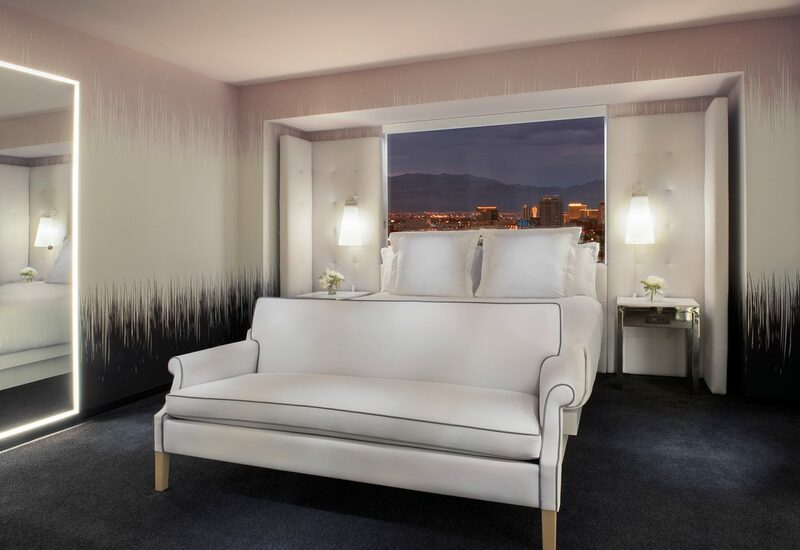 This romantic allure draws spectators, but those who check in for the night (or longer) will find many intimate moments throughout this Las Vegas resort. Grab a drink at the lobby bar (with live music from a piano player), and make a reservation at one of the many award-winning restaurants for an evening lingering over dinner and wine. Lago, one of the property’s newest restaurants, looks out over the fountains; request a seat on the patio. Though throngs of tourists make their way through Bellagio daily, make the experience personal by visiting the quieter Bellagio Gallery of Fine Art, strolling hand-in-hand through the Conservatory & Botanical Garden and booking an appointment at the property’s spa. Just when it seems like the Las Vegas dining scene can’t get any more remarkable, a new restaurant opens at ARIA. 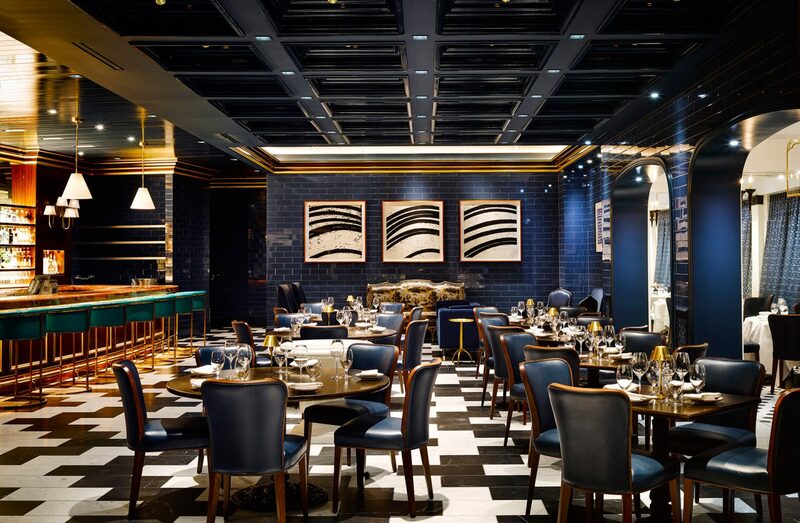 The property’s culinary team – paired with one of the most talented beverage managers in the city – has created an exciting and diverse selection of in-house restaurants worthy of attention. Both The Buffet and Five50 Pizza Bar are perfect for the casual diner (in fact, visitors can grab-and-go at Five50 until midnight each night), but the hotel’s real strength lies in fine dining: find fresh seafood at Herringbone, high-end contemporary American at Sage, rich Italian favourites at Carbone, spicy Spanish fare at Julian Serrano and the finest Fresh cuisine at Bardot. And leave room for dessert: Jean Philippe Patisserie serves decadent creations that are practically pieces of art. All this without having to leave the hotel! Families have been flocking to Circus Circus since it opened its doors in 1968. Home to the largest permanent big top in the world, this property caters to the kid hidden in everyone. The classic Midway is a kaleidoscopic array of more than 200 carnival and arcade games – and winners walk away with armfuls of prizes. Front and centre at the Midway is the circus stage, where a variety of performers – trapeze artists, jugglers, hand balancers, acrobats – entertain crowds for free from 11am every day. Leave plenty of time to explore the Adventuredome, a popular indoor amusement park packed with attractions ranging from a mellow train ride to breath-taking rollercoasters that hit 55 miles per hour. Buy an all-day pass to get the most fun for your money. 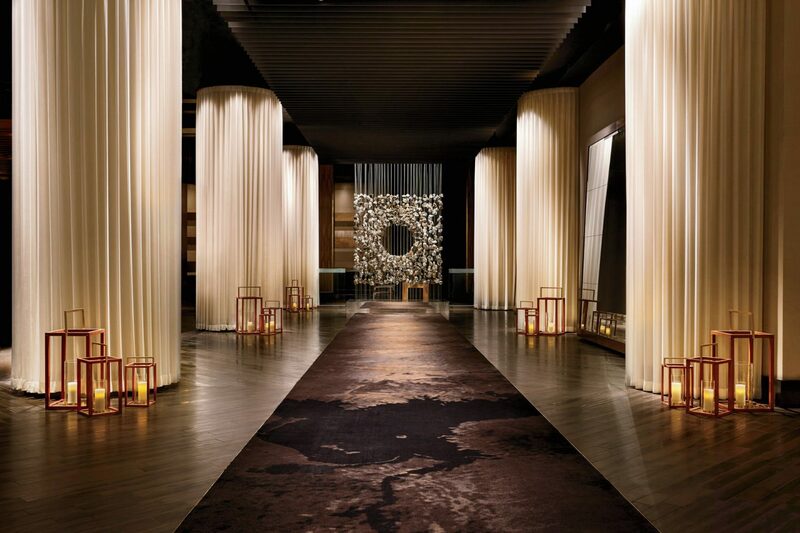 Tucked away from the hustle and bustle found on Mandalay Bay’s casino floor is Delano, an understated boutique property with an eye toward high-end design. Decorated in muted hues, detailed touches and thoughtfully chosen works of art that draw on the desert landscape, Delano celebrates its geographical location instead of pretending to be something it isn’t. Guests entering the property from the valet area are greeted by two, 700-million-year-old Nevada boulders and the movement in the grey, blue and white carpet is meant to represent the Colorado River. 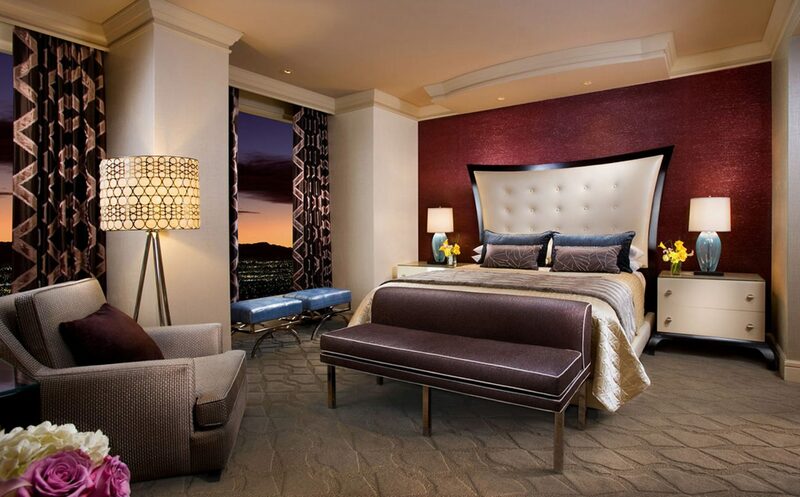 Art and photography from around the state decorate the hallway walls leading to chic guestrooms. 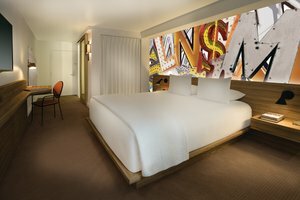 SLS Las Vegas’ location on the north end of the Strip is off the casual foot traffic path, meaning guests will need to make a special effort to reach it. They’ll find it worth it, however; chic and funky room designs and plush amenities mean it definitely draws a cool crowd. Dining options include the quirkily designed Bazaar Meat, eye-catching Katsuya and socially oriented Umami Burger, Beer Garden & Sports Book. 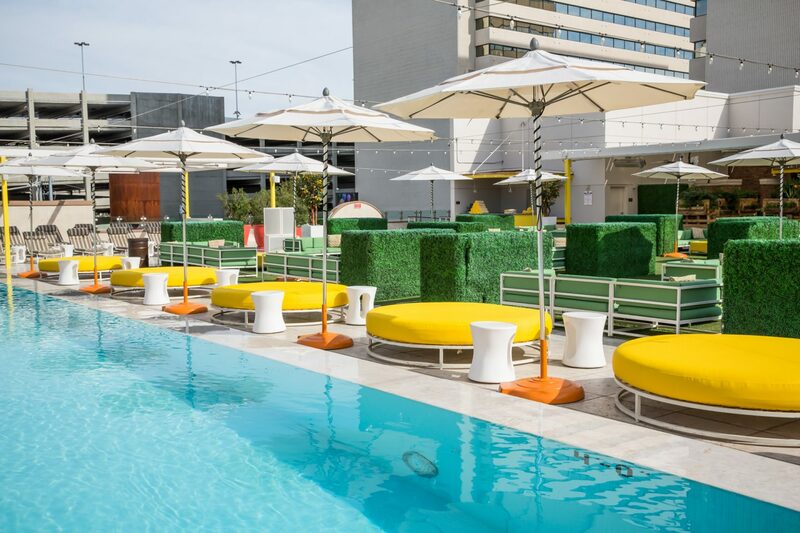 Foxtail, SLS’s nightclub, opens to the pool, allowing for easy access between indoor and outdoor party spaces, while the Sayers Club, an intimate live music venue, features popular acts without the crowds. Grab a drink at either the Monkey Bar (outfitted completely in monkey-themed décor) or the Center Bar, which wows visitors with its overhanging LED art fixture. 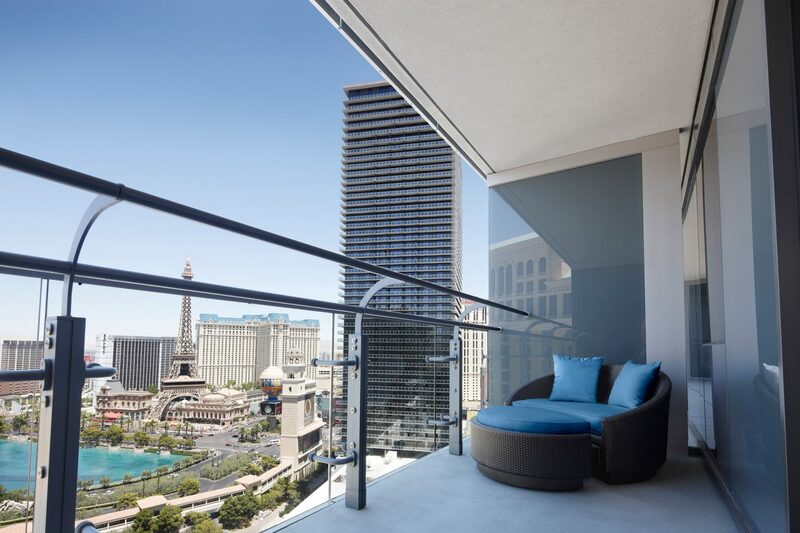 Built in an enviable mid-strip location, The Cosmopolitan continues to be one of the coolest kids on the block, and boasts some of the most desirable views in Las Vegas. 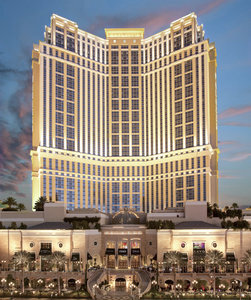 The property is popular with visitors, who stop by for a myriad of reasons – including delicious Spanish-inspired food from Jaleo, unique cocktails from the three-story Chandelier bar and supper club entertainment at Rose. Rabbit. Lie. – but The Cosmopolitan’s best views are reserved for those who step outside. Visitors who catch a concert, grab brunch or dip their toes into the water at the Boulevard Pool can also admire the view up and down the neon-lit Strip. Guests should try to book a room with a terrace; none of these rooms has a bad view (but try to snag a corner room). Those on the north side of the building get a bird’s-eye view of the Fountains of Bellagio as they dance through the night.